ATTENTION! 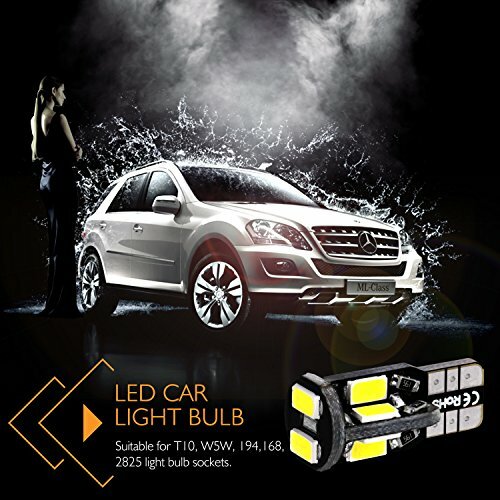 Please make sure that the light bulb socket on your car is for T10 bulb (or W5W, 194, 168, 2825) before the purchase. 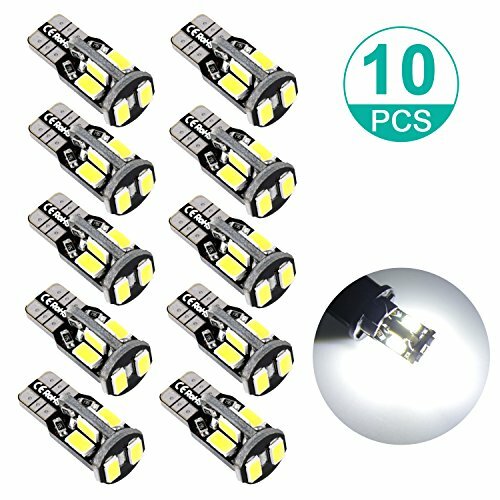 10 pcs T10-10smd LED wedge bulbs; 10 pcs high bright SMD 5730 light beads in each bulb. 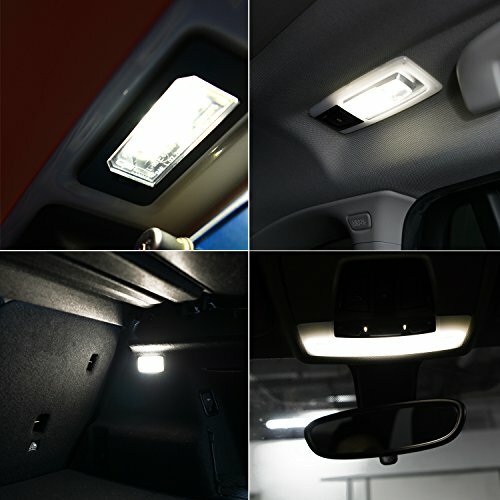 This bulb can be applied for reading light, license plate lamp, courtesy light, clearance lamp, trunk light and other connection with T10 interface. Voltage: 12V. Current: 0.11A. Power: 1.35W. Operating Temperature: 140¨H. 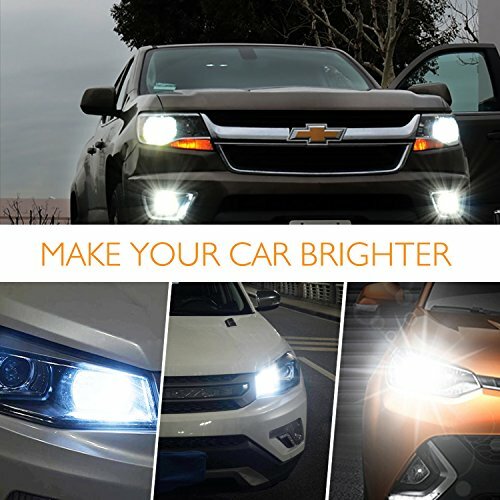 Low temperature, safe, eco-friendly and longer lifespan. 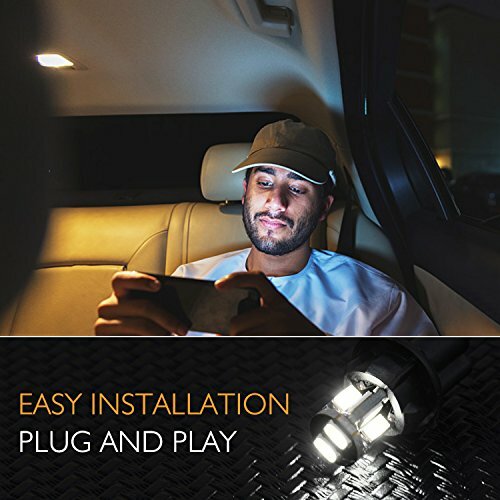 Plug and play for most vehicles. 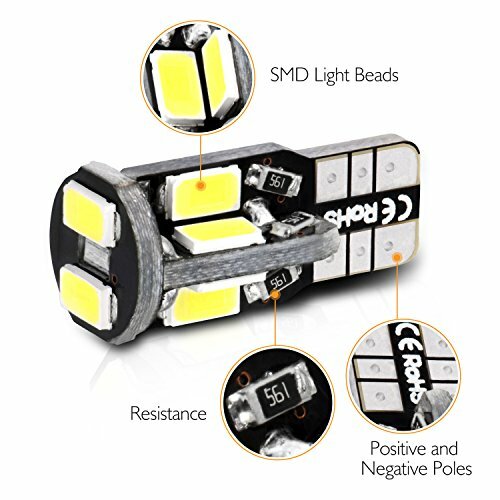 Please NOTE that change other side to use if it doesn¡¯t work (the lights have positive and negative electrode). 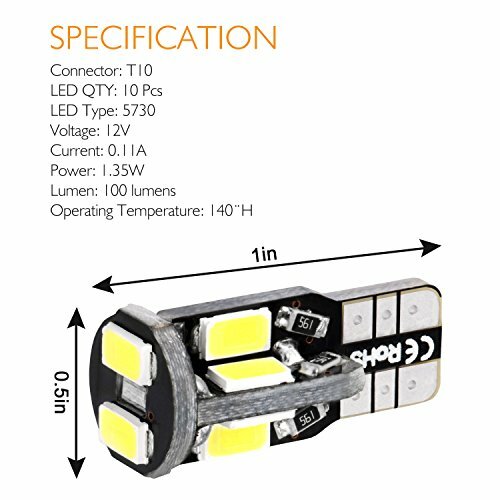 Why Choose Toplus LED Light Bulbs?